Yesterday, I spoke to the Probus Women’s Club of Kitchener Westmount. Anne Laird, part owner of the Book Express in Cambridge drove me there and took boxes of my books to sell to the members. She was happy to attend such a cheerful gathering; everyone gave both of us such a warm welcome. Anne sold, and I signed all the copies of my Comfortable Kitchen Cookbook that Anne took from the store. It turned out that one of my friends from Trinity College was a member. I hadn’t seen Cathy (Drake) for years, but we picked up right where we left off all those years ago. What a delightful reunion! In fact Anne and I were invited to stay for lunch where Cathy and I reminisced about Trinity friends including a dear friend (Lee Milne) who died recently after a seven-year long and courageous battle with cancer. When I got home I dearly wanted to call Lee to describe the meeting with Cathy. But it just made me sad to think I couldn’t talk to her. Friends, either long-time or newly found, are indeed valuable. Keep them close. Tomorrow, I’ll be putting together an easy but delicious vegetable soup…just right for chasing away winter chills. Talking Gourmet Vegetables at Clemens Mills\ Library on april 14th at 7:00 pm. Just in time for planting your vegetable garden, come out to hear some interesting facts about some of those vegetables you might like to plant when the weather permits. Hear some hints there, but also some fun facts about these plants and their harvest during the year. I’ll be talking about the vegetables growing, but also some neat recipes for them! 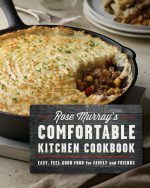 On September 10th I will be appearing at Relish Cooking Studio in Waterloo to help Donna-Marie whip up some fall dishes that are just right for entertaining: Radish and Smoked Salmon Spread, Roasted Eggplant Soup with Mascarpone Swirl, Curried Harvest Vegetables with Lentils and Zucchini Almond Cake, all from my new A-Z Vegetable Cookbook. 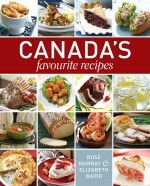 Then on Friday, October 2, I will be appearing with Elizabeth Baird at The Creative Cook in Bracebridge, Ontario. At 2:30 we will demonstrate a selection of memorable starters and finales that are both easy to make and impressive to serve and at 4:00 we will lead a hands-on class of ten to create other make-ahead appetizers…all just in time for great fall entertaining. 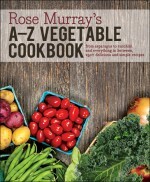 Tomorrow, June 24th, I’ll be making an interesting smoked salmon spread from my new A-Z Vegetable Cookbook. The book is a revised and updated edition of one I had published in 1983. There are 100 new recipes and a couple of new chapters, one of which is Radishes. In each chapter I discuss choosing, storing, preparing and cooking. In Radishes, you will learn interesting history about the vegetable and perhaps new facts such as how delicious radishes are cooked as in the recipe Hot Buttered Radishes.